Suzuka, Japan: Nico Rosberg set the fastest time in Friday’s practice for the Japanese Grand Prix, edging Mercedes teammate and Formula One title rival Lewis Hamilton. 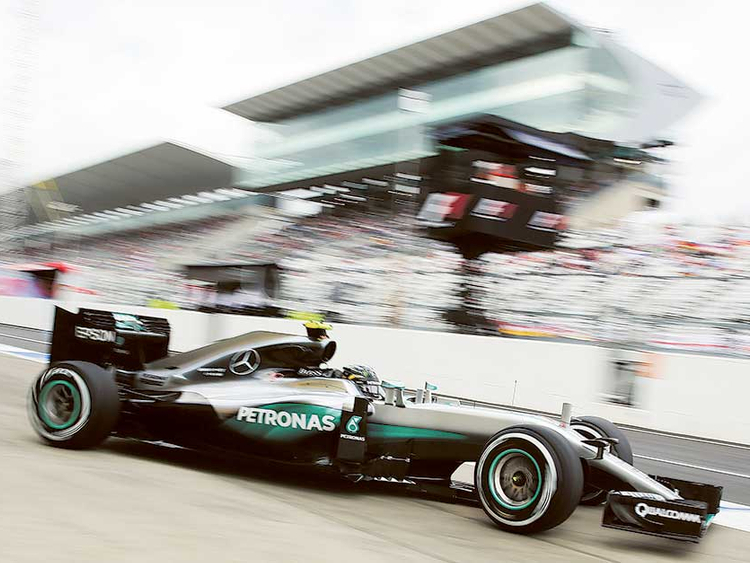 Rosberg set the quickest lap in both sessions, with his best at 1 minute, 32.250 seconds” just seven hundredths of a second better than Hamilton. 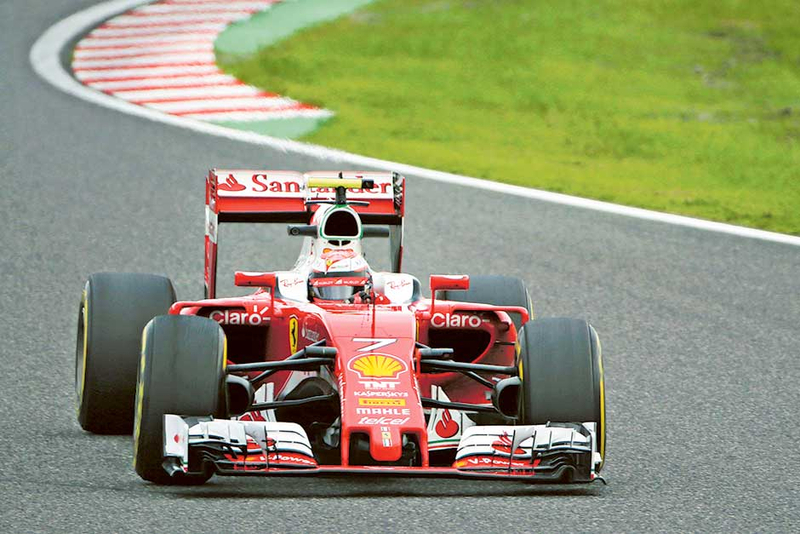 Ferrari driver Kimi Raikkonen was third, encouragingly only three tenths of a second off Rosberg’s time. He was followed by Red Bull driver Max Verstappen, then Ferrari driver Sebastian Vettel, who won four faces in Suzuka between 2009 and 2013. With five races remaining in the season, Rosberg holds a 23-point lead over Hamilton, who had an engine failure while leading last weekend’s Malaysian Grand Prix but is chasing a hat trick of victories in Japan. Rain is forecast for Saturday’s qualifying session. Rosberg’s afternoon got off to an uncertain start when he pulled out of his garage 13 minutes into the session with wisps of smoke emerging from the back of his Mercedes. As he waited at the end of the pitlane, the smoke became slightly thicker and billowed out for a few seconds, but there was little trouble after that. He soon posted the fastest lap on hard tires and then set the pace on softer tires to remain ahead throughout the session. Force India pair Sergio Perez and Nico Hulkenberg finished sixth and seventh fastest, with three tenths of a second separating the duo. Fernando Alonso of McLaren, Valtteri Bottas of Williams and Carlos Sainz Jr. of Toro Rosso completed the top 10. Red Bull driver Daniel Ricciardo, who won in Malaysia, was 12th. 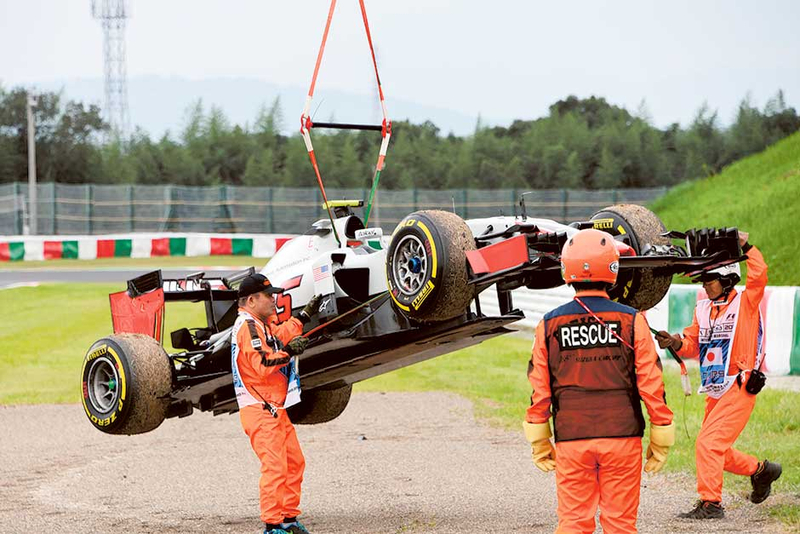 The second practice session was incident free other than when Esteban Gutierrez parked his Haas on the grass approaching the Degner curve following a turbo failure, prompting a virtual safety car.